Capture: Location Scouting (from your couch)! Modern technologies have made location scouting easier than ever before. Before you head out on your next landscape adventure (urban or natural) be sure to check out the apps that will ‘shed some light’ on what you can hope to expect at your chosen location. 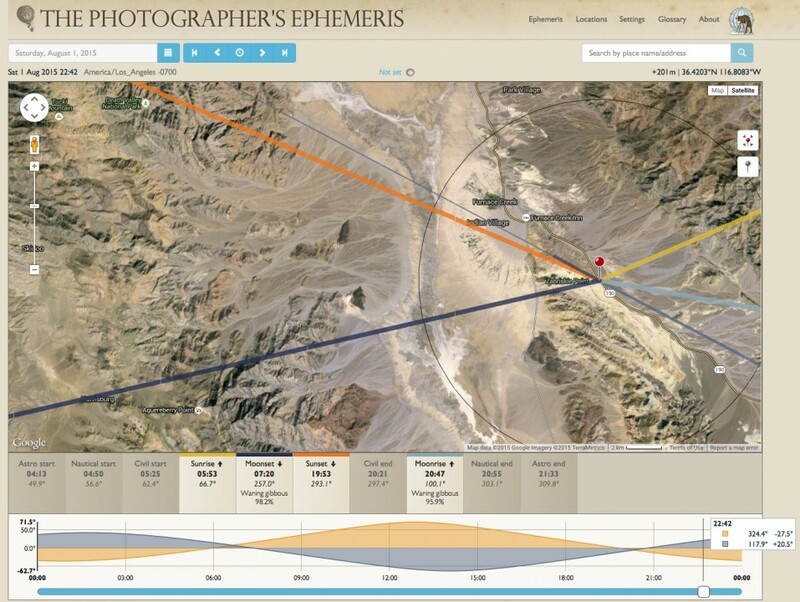 Websites such as ‘The Photographer’s Ephemeris’ (http://app.photoephemeris.com) and mobile apps such as ‘SunSeeker’ will enable you to scout your chosen location so that you can see the position of the sun at any given time of the day. This is an excerpt from my new book ‘Introduction to Photography: A Visual Guide to the Essential Skills of Photography and Lightroom’. If you are interested in advancing your photographic skills, face-to-face, check out my one-on-one training sessions and workshops. This entry was posted in Blog, Capture, Learn, Tips and Techniques and tagged alpha, ephemeris, ILCE, landscape, location, Mirrorless, photographers, scouting, Sony, sonyalpha, SunSeeker, technique, tips. SOOC – Images without soul?